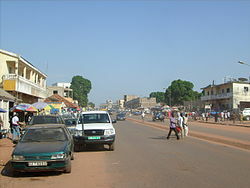 Bissau, the Capital of Guinea-Bissau. This is a list of cities in Guinea-Bissau order by population. All settlements with a population of over 5,000 are included. This page was last edited on 18 November 2018, at 00:17 (UTC).